Tero Saarinen Company’s international teaching programme started in the 1990’s when the Company was founded. Over the years, Saarinen and his trusted assistants have held workshops and classes for diverse target groups in Europe, USA, Asia, Oceania and Africa. As Tero Saarinen Company rarely holds auditions, taking part in workshops is both the best way for professionals to learn Saarinen’s movement technique and choreographic style and also get in contact with the Company. For audiences and other non-professionals, workshops provide a chance to explore their own movement, plus offer an interesting window into Saarinen’s style, enriching the experience of a performance. Saarinen’s philosophy is based on a holistic approach and our learning and engagement activities are based on our values of humanity and respect. A genuine interest in people, and giving time for growth for every individual, are at the core of our encounters with different groups. The 2–4 hours long TERO Workshop is an introduction to Tero Saarinen’s unique movement style; it gives students an overview of the holistic philosophy behind Saarinen’s technique. Teaching concentrates on the central patterns of movements that make up TERO Technique, and allows students to explore it further through a few repertoire exercises, featuring material from Saarinen’s recent creations. This workshop is meant for dance professionals and advanced-level students. The 1–3 days long TERO Master Class is a comprehensive introduction to Tero Saarinen’s movement technique. It consists of an in-depth exploration to the holistic philosophy behind Saarinen’s style, including repertoire exercises featuring material from his recent creations. The Master Class concentrates on the central patterns of movements that make up the TERO Technique. The participants of the Master Class will gain new tools for awakening the body, mind, and spirit in order to create a more holistic sense of moving within the individual. The Master Class is meant for dance professionals, who wish to gain insight into the technique in the guidance of Tero Saarinen himself. The 4–10 days long TERO Intensive courses are all-round comprehensive studies into the philosophy and movement technique of Tero Saarinen. The emphasis of each Intensive varies, but all offer a fully comprehensive exploration into TERO Technique, as well as the philosophy behind it. The movement techniques are practised through repertoire exercises from Saarinen’s creations. The Intensive also provides tools for the prevention of injuries, and the maximising the correct use of muscles in the body. Intensives are aimed for professional dancers and pre-professional students. The 90-minute-long TERO Morning Classes aimed for dance professionals focus on awakening the body and the senses. The classes include TERO Technique exercises, based on Tero Saarinen’s holistic movement philosophy. The technique is further explored through choreographic exercises that feature material from Saarinen’s creations. The two-day Weekend Course is ideal for active dance students and those with a background in dance or other type of movement training, who wish to explore TERO Technique. The Weekend Course offers an introduction to Tero Saarinen’s unique movement style. It includes an exploration of the holistic philosophy behind Saarinen’s technique, plus the chance to work on repertoire exercises, featuring material from his recent creations. The Audience Workshop offers a 1hr pre-performance orientation to the style of Tero Saarinen and TERO Technique. 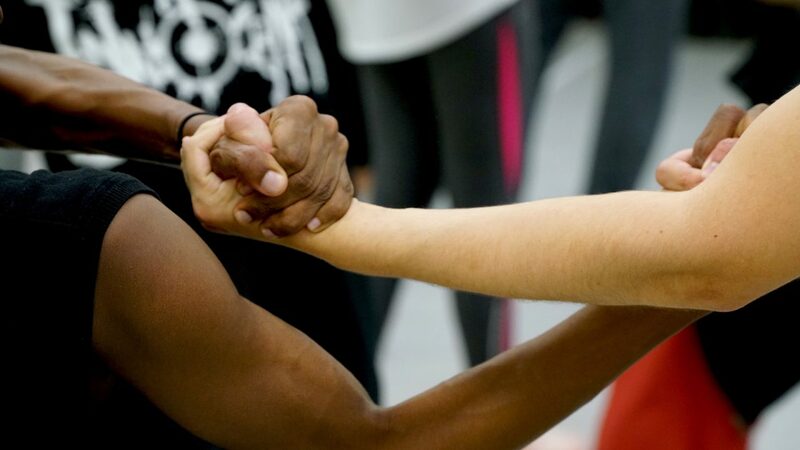 Each class is uniquely tailored to include insight into the performance at hand, and will give the participant personal experience to the movement style, uniquely enhancing the experience of the performance. Audience Workshops are intended for the ticketholders of the performance, and can be attended by non-professionals. No background in dance is required. TSC provides tailored workshops for a wide range of target groups. In Helsinki, TSC’s Community outreach program in 2012–2016 engaged children and families within the Malminkartano area to come together through dance. The 4-year initiative included a wide range of projects, participants ranging from kindergarten to teens and activities varying from dance classes and performances to art exhibitions inspired by movement-based workshops. The project was headed by Maria Nurmela with Mikko Lampinen, David Scarantino and Natasha Lommi from TSC, in collaboration with representatives from Apollo School and kindergarten Timotei. TSC aims to ensure all graduates of the Ballet School of the Finnish National Opera and Ballet the opportunity to explore TERO Technique. Tero Saarinen, Sini Länsivuori and David Scarantino have regularly taught the second and third year students of the vocational training since 2015. On top of technique classes, the students have also been introduced to Saarinen’s choreographic work. For example, Saarinen’s choreography MESH was rehearsed into the repertoire of the 2016 third-year vocational students. In addition to performing excerpts in the School’s recitals and ballet galas, some of the students also joined Tero Saarinen Company dancers in TSC’s 20th anniversary season performances. In July 2019, Tero Saarinen is the featured choreographer for contemporary repertoire in The Finnish National Opera and Ballet’s Summer Intensive. TSC’s David Scarantino will teach attendees daily classes in TERO Technique and Repertoire. Tero Saarinen begun his career at the Finnish National Ballet. As a choreographer, Saarinen has collaborated with the Finnish National Ballet already since 1993. Several commissions and other creations by Saarinen have been in the National Ballet’s repertoire, with the most recent being the Finnish National Opera and Tero Saarinen Company’s co-production Kullervo (2015).